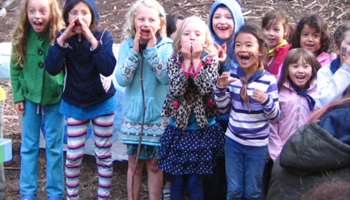 Rec and Park is offering more summer camps for youth and teens at 53 different San Francisco parks and recreations centers, including 15 art camps at the Harvey Milk Center for the Arts. Starting in June, there will be two-week camps for each of four age groups (7-8, 9-10, 11-12, and 13-19 years old). Rec and Park offers intensive art making, where campers explore and develop their artistic abilities in art, dance, music, theatre, and technology. The activities require the ability to follow multi-step processes and normal hand dexterity. Each two-week session culminates in a performance and visual art show of campers’ work for family and friends on the last Friday of each two-week session. If you have a teenager interested in acting, singing, dancing, or performing on stage or being a technician behind the scenes, the Young People’s Teen Musical Theater Company (YPTMC) offers six different camps in theater and performing arts at the Rec Center this summer. Details can be found in the 2018 Summer Day Camp Guide, available at the Rec Center or online at sfRecOnline.org. Summer Camps begin June and end in early August and are led by talented art specialists. Registration begins on March 17 at 10 a.m. and spots fill almost immediately, so sign up early to reserve a spot. Rec and Parks does offer Recreation Scholarships to eligible individuals and families. Ongoing eligibility is dependent on attendance record. Please call Lillian Bautista, Scholarship Coordinator, at (415) 831-2717 for information on how to qualify. Campers should arrive with a healthy lunch, snack, and water bottle daily.